On March 11, 2011, a great earthquake struck off the northeastern coast of Japan. This triggered an enormous tsunami in which more than 18,000 people died. About a month after the disaster, in a town called Otsuchi, there appeared a phone booth. Inside was a black rotary dial telephone whose line was not connected. 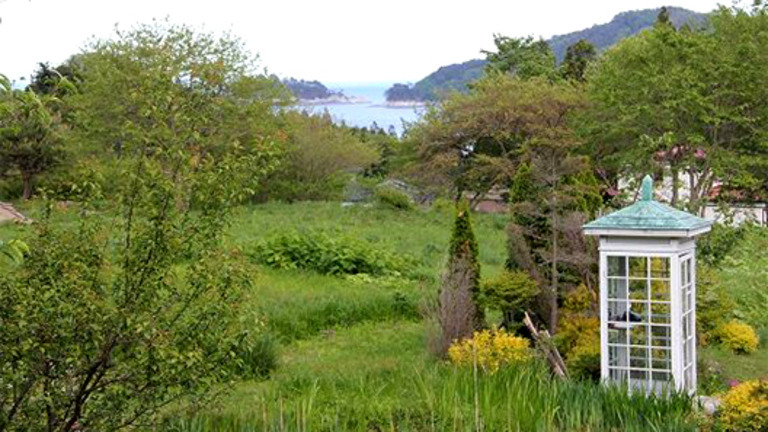 A man named Itaru Sasaki had built the phone booth in his garden and named it “phone of the wind.” He built it for people to talk to those they had lost in the tsunami and hoped that those who came would be comforted by the thought that the wind was delivering their messages. He wrote a blog about it, and in the three years following the disaster, over 10,000 people came to the phone booth. Now in the fifth year of its existence, people are still coming to talk to their dead. Someone who has lost a loved one will understand this. Yesterday was the 37th anniversary of my son’s death, and I still talk to him. I talk to all my “dead” —my son Eddie, my mother and father, my grandparents, and sometimes to my favorite aunts and uncles. My husband Bill has been dead for seven years, but when I see something extraordinary in the news, or I read something that would interest him, I find myself saying out loud, “Billy! Would you look at that?” Or if I see something about a place we’d traveled to, I’ll say, “Remember when we were there, Billy?” I talk to him as though he is in the room with me. Of course, I believe he is. But even people who don’t believe as I do, do it. They talk to their loved ones. They’ve told me. I use the word “dead” to describe the condition in which my loved ones left their bodies. To me, “dead” does not mean “lifeless.” Life continues beyond the body and the event we call “death,” and something in us knows that. Why else would we talk to our “dead?” Why would we visit a “wind phone?” Why would we call upon our ancestors? Ask for their guidance, their protection? Something intuitive leads us to the phone booths of our minds. Something in us urges us, prompts us, to call out to them, to speak to them most intimately, to whisper to them that we love them, that we miss them. This is not a tradition bound by borders, nor is it a practice peculiar to any one generation. It is a phenomenon that is very, very old. And universal. And that something that calls to us to reach out to them…is Love. Whatever you believe that to be.